I recently found myself buying a black coffee and croissant on my way towards your flagship store on Fifth Avenue. Of course it was no coincidence, I was emulating a moment I had dreamt of since I saw the first fifteen seconds of Breakfast at Tiffany's over 15 years ago. When I approached Tiffany’s my coffee had spilled onto my dress and my croissant was stone cold, but that didn't matter as I had finally arrived at the window I had visualised my entire life. The glorious New York sunshine shone down on your shop front, I couldn't help but find myself gazing into your windows, as my husband became my photographer, chaperone, and partner in crime. My very own Fred. As I entered the store, I dug out my copy of Truman Capote’s novel and proudly tucked it under my arm. I'd arrived at Tiffany's and couldn't be more happier. As we entered the lift we were greeted by a huge smile from the chaperone as he saw my book he showed excitement. As the elevator door opened I couldn't help but find myself browsing your much-loved collections. 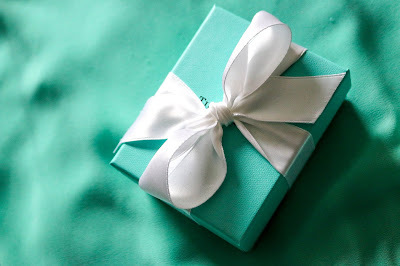 And then a welcoming voice asked if I would like any help, as I approached there was a sincere ‘wow, you wore Tiffany blue just for us!’ I blushed as the other assistants all looked round and smiled. 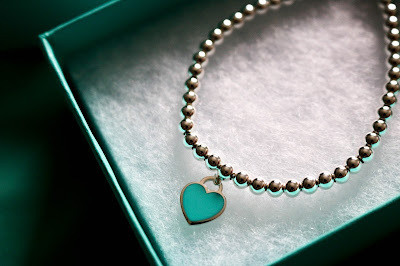 As you probably know, a girl can't really visit Tiffany's without leaving with a little something. I chose a bracelet with a tiny blue heart, to add to my Return to collection. As we were approaching the exit I was drawn towards the iconic Hepburn photograph and letter she had written to you. I felt a huge overwhelming sense of admiration and sadness for the legacy Audrey had left behind. 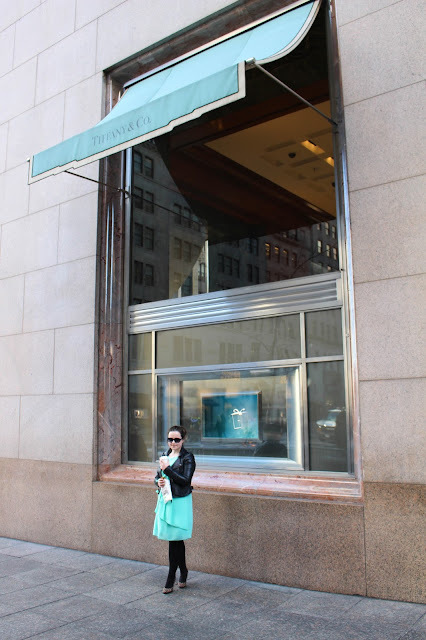 As we left, I turned around and smiled because I had had the best time in Tiffany's (Golightly was damn right). Wow, what an amazing place to visit and the perfect outfit for it. Lovely! In London, that's also Fortnum and Mason blue, the Queen's grocery shop! The biggest adventure. I’m pregnant.